ICC® provides condominium management in Toronto and several other areas in a diverse range of settings. Each locale has its own unique challenges and opportunities, requiring the development of individualized programs depending on the local rules, customs, and regulations. The professionals at ICC® know how to adapt to different environments and property types, allowing them to tailor their services to the community’s needs. 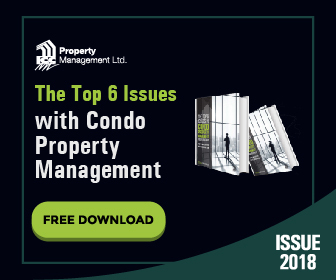 ICC® is recognized as a premier property management company in Toronto, the most populated city in Canada and the provincial capital of Ontario. A great place to live, there are many amenities in this bustling metropolis and a number of challenges that ICC® can help with, both for residents and boards of directors. Markham property management services are also available. This city has dubbed itself Canada’s High-Technology Capital, with almost 900 high-technology and life sciences companies calling the city home and thousands of innovative professionals living within its city limits. Also present in the sixth largest city in Canada, ICC® offers Mississauga property management. 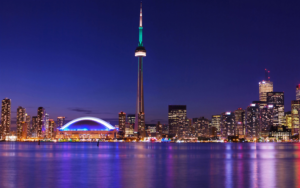 This area distinguishes itself from its neighboring Toronto with a business-friendly atmosphere and emphasis on economic growth, making it an up-and-coming place to live. Additional services are available for Durham Region property management, for those who call the Golden Horseshoe home. We are well-equipped to assist the varied and diverse types of communities found throughout the Region of Durham. For those living in Canada’s Flower City, we offer comprehensive Brampton property management services. As a younger community with more than half a million residents, Brampton offers a dynamic and exciting place to build a life. ICC® provides Scarborough property management. A district within Toronto itself, it is a diverse area in the city and attracts a multicultural population, who all enjoy the city’s nearby natural landmarks and plentiful green spaces. R.C.M. and Chief Visionary Officer Steven Christodoulou is the sole owner of ICC® and believes in maintaining a close relationship with the leaders of the communities he serves in these locations throughout the Toronto area. He takes a hands-on approach with each client, ensuring both their physical maintenance and administrative needs are fulfilled. He and his team also keep communities up to date on the latest regulations affecting the industry and their local areas, from the Condominium Act to local rules and municipal ordinances.